For some reason, when I mention Tobin James to certain wine people [snobs? ], they turn up their noses. Why? I’m not really sure. Is it because Tobin makes wines for a wide range of wine lovers, at lots of price points? Or is it because people have fun in his tasting room? Or is it because he is a great marketer who, even though others sneered, founded his winery and tasting room at the Eastern end of Paso Robles wine country? Now, of course, this has become a must stop for many visitors to Paso, either as their first stop in or their last stop before heading out of town and back to the real world. I first tasted Tobin James wine several years ago, in the late 1980s or early 90s, before the opening of his tasting room. [In fact, there were only 13 or so tasting rooms in the Paso Robles area at that time.] 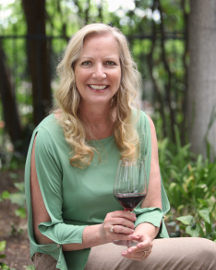 In Templeton, just south of Paso Robles, there was a tasting room called Templeton Corners, devoted to small up-and-coming winemakers, and one of the wines being poured that day was Tobin James. With its distinctive stylized Sun on the label, Toby early on set the bar for the “Paso style” of winemaking, as well as giving his wines fanciful names. Toby laughed when he heard this story. At that time, he was working for Peachy Canyon and also starting his own label. Back in those days, he explained, when he used to hit the road to sell his wines to stores and restaurants, he had to tell them that Paso Robles was in California, as potential buyers sometimes thought he was from El Paso, Texas. A visit to the Tobin James tasting room can easily last an hour or more. During our last visit, we had the pleasure of sitting down with Toby, taste through the wines, and have a little chat. I think the Tobin James “everyday” wines are excellent values. The Merlot, Zinfandel, and Petite Sirah were tasting especially good that day. The wines marked with asterisks are the ones we tasted from the “reserve” list. All the wines were in that rich Tobin James style, with the Portuguese Blend probably being the most reserved and leanest of the group. The last two were the ones priced at $150 per bottle, although they are heavily discounted to wine club members. Toby kept us company at the tasting bar, while Gaetano Marsano poured our samples, explained the wines, and kept track of the wines we had tasted. Toby said he doesn’t drink much wine anymore, preferring to drink beer these days. He does taste everything of course, and said his current favorite is the Primitivo. That day though, he sipped on what he called the Tobin James cocktail, a mixture of one of the Tobin James Chardonnays and the “Dream Weaver” Sparkling wine, which is as close to beer as you can get in the tasting room. And speaking of that wine club, Toby said the club has now over 24,000 members. The Tobin James club, known as The James Gang, is the one winery club I consistently recommend to people as the best deal in town. For $155 per shipment, twice per year you get eight bottles of wine, most in the aforementioned “reserve” category. Toby declined to reveal the total case production of the winery, but gratefully acknowledged the hard work of his partners, Lance and Claire Silver, who were instrumental in growing the winery. Now he says, the goal is to slow the growth and focus on keeping quality high. As for those wine snobs I mentioned at the beginning of the article, Toby doesn’t really worry about them. He said he “wanted a snobby tasting room, but didn’t know how” so instead he just has a roomful of happy people buying wine by the case, which makes him proud, as each case represents “twelve different occasions” that his wine can help to make special. Born in San Francisco [and “jailed in Kentucky” according to Toby; but I guess that’s for another article], Toby has pretty much taken on the persona of the cowboy image that his winery has fostered. In his cowboy hat and vest, he happily autographs bottles, especially the big ones he refers to as “furniture”. I asked him if there was one message he would like to get across, and he said: “We make good wine and are nice to people.” I’m not sure if that’s all it takes, but it certainly helps. Tobin James is truly an interesting winery model and I know exactly what you mean about responses. Toby is a master marketer and produces what the masses are looking for…..fun and non pretension. 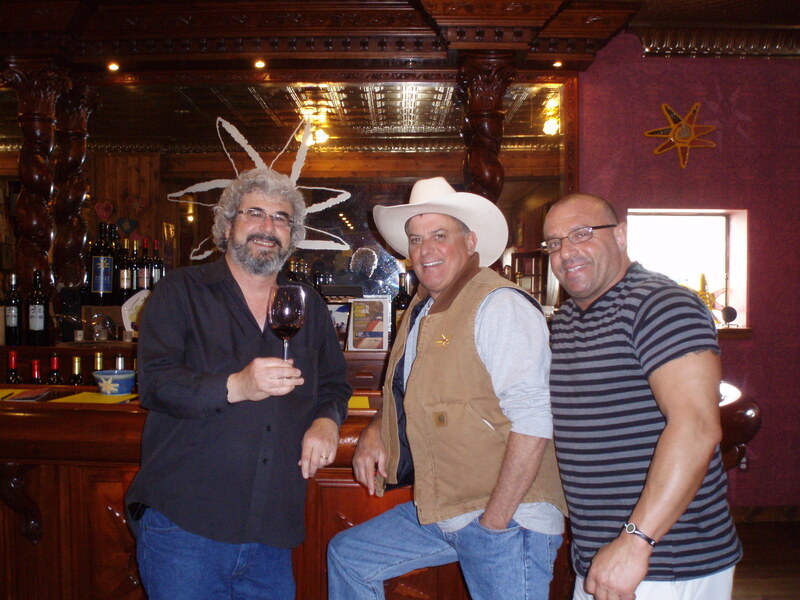 His wines are big, lush, with a push of fruit undoubtedly…..and he has the largest wine club membership in the nation. What does that say? 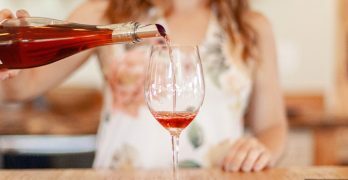 Tobin James is one of the greatest places to introduce people that are interested in wine because they naturally are intimidated by the “wine world.” Tobin James has zero pretension, they just make you feel welcome. Tobin James wines are not for getting dusty in a wine cellar. These wines are meant for the weekend BBQ. I have many fun memories at this tasting room and while many of my personal tastes have changed over time, I will go to this tasting room any chance I get. It’s simple, I like to have fun too. I didn’t know that about his wine club Shawn, thanks for sharing your thoughts! When coming into Paso Robles from the East side, Tobin’s yellow guest house puts a happy smile on our faces. We always stop in to say hi to big guns Gaetano and usually Toby or Lance are also around to say hello. We’ve been members for years, and Michael is right, it is a great value. 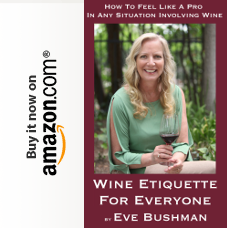 Keeping in mind that many of their their wines are fruit bombs, (i.e., Fat Boy and French Camp), there are so many to choose from, and you are sure to find something for your palate. Lance’s favorite last year was the rose. You’ll usually find him sipping a glass. I have to agree with Toby, I like the Primitivo right now. 2 – With your shipment is always a little gift, and some have been quite nice. I have acquired candleholders, set of 4 luncheon plates, “Liquid Love” blankets, BBQ sets, mugs, and other cool stuff. 3 – The parties! Tobin knows how to put on a party! Zinfest is the best, with 4 live bands, 20+ caterers, and all the beer and wine you want. Oh, and I can’t forget to mention the chili cookoff. It is held on Friday and Saturday nights during Zinfest and sells out quickly. I can say, it has been the most fun in Paso, especially with friends. We have some great memories of Zinfest at Tobin. Severl years ago, Gaetano used to have his own little restaurant in Paso, called, of course, Gaetano’s. He knows how to bring it, providing excellent customer service (and great food, too). 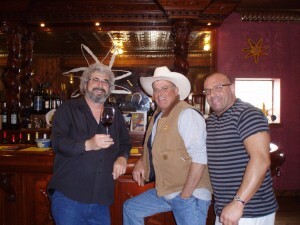 Tobin James is the perfect example of the friendliness and laid back ambiance of the Paso Robles wineries. No wine snobs here! Sounds lovely, I will have to order something! Their wine sounds like I want some! LOL Thanks so much! I love the sound of the place, hope I can come and visit sometime! Nice report onTJ…We Love his wine, we are wine club members and love his free gifts with our order. We met him in Brea, at Wine Depot he sat down with us at the bar and told us he drinks beer. Lol. The place closed down a short time after his visit but has reopened last year.